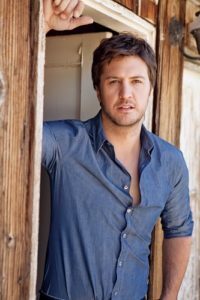 Two-time Academy of Country Music and two-time Country Music Association Entertainer of the Year Luke Bryan will hit the road this summer with the “Sunset Repeat Tour” with special guests including multi-platinum singer/songwriter Cole Swindell and EMI/32 Bridge Entertainment recording artist Jon Langston. The tour will make a stop at Ruoff Home Mortgage Music Center (nominated for ACM Large Capacity Venue of the Year) located in Noblesville, Indiana on Sunday, August 18, 2019. Luke is a two-time Academy of Country Music and a two-time Country Music Association Entertainer of the Year, a five-time host of the ACM Awards, a NSAI Artist/Songwriter of the Year and was named a CMT Artist of the Year six consecutive years. Luke has more certified digital singles than any other country artist with 46 million tracks and 12 million albums with four billion music streams. Luke has placed 21 singles at #1, 11 of which he co-wrote. In each of the last several years, Luke’s headline tours have performed for 1.5 million fans or more and in 2018 he headlined the most stadium shows in one year of his career, now totaling 34 stadium concerts to date. Also in 2018 Luke opened Nashville’s only six-floor entertainment facility in the heart of Music City, LUKE’S 32 BRIDGE FOOD + DRINK. Tickets for Luke Bryan’s “Sunset Repeat Tour,” promoted by Live Nation, are on sale now. Luke Bryan VIP packages will be available for the “Sunset Repeat Tour.” Find a complete listing of tour dates, including additional Luke Bryan concert stops for 2019, VIP package details, and purchase tickets at www.lukebryan.com.